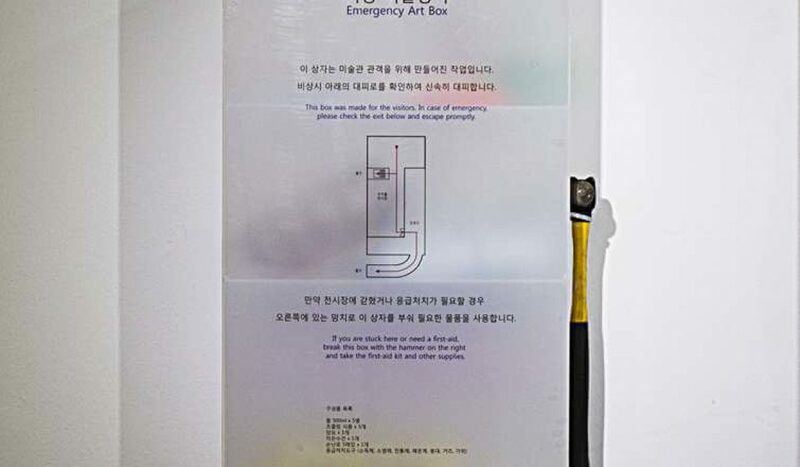 The Emergency Art Box contains a first aid kit and an emergency supply of food, and provides museum visitors an escape route and a user’s guide for the outside of the museum on the occasion that the art museum encounters a natural disaster. 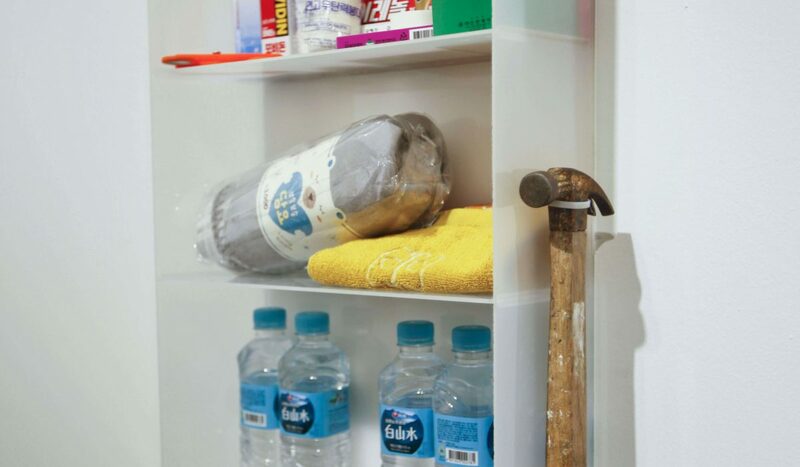 The box only functions as an information map in normal situations, but in the case of an emergency situation visitors will need to smash it with the hammer hanging next to the box to access the first aid kit and the emergency supply of food. The information map does not show the visitor’s guide pathway but an escape route for visitors. 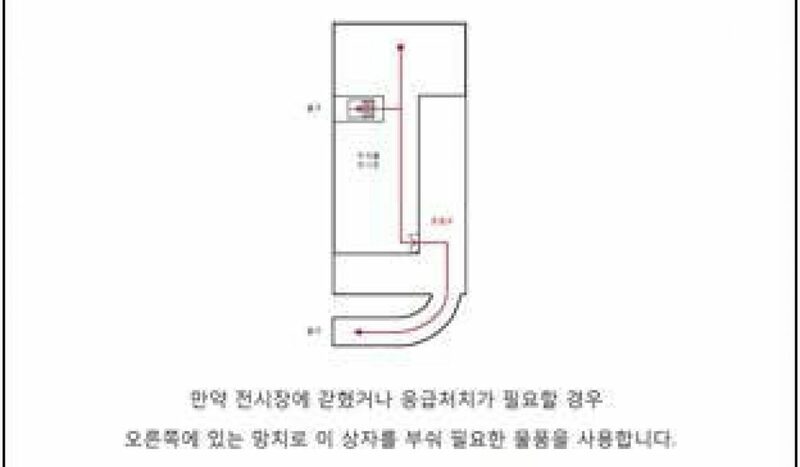 I tried to set a direct relationship between the artwork and the audience by bringing to consciousness the reality of the exhibition space in order for the audience to perceive the museum space differently from the space’s intended design as an exhibition site for the display of art.